If you are like the rest of us, you are tired of the chilly temperatures and ready to head outside for some fresh air and entertainment. 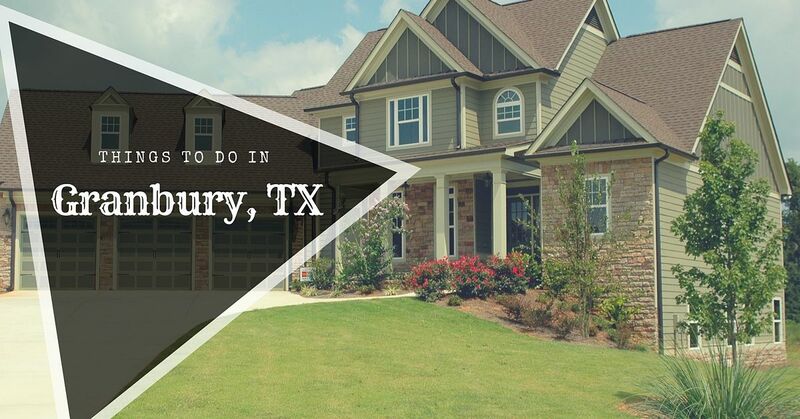 There are dozens of local events each week near homes for sale in Granbury TX. We think that you will find several opportunities on our list to get out and have some fun. Exhibit dates: All Sundays in April from 1:00 p.m. to 4:00 p.m. Admission is free. The exhibits are all by local artists. Each item is up for purchase. Admission on April 5, 2018, is $15 per person. On April 6 and 7, 2018 the price goes to $25 each. A three-day pass is available for $55. Children under the age of 16 get in free. Several bands are playing including Catahoula Drive, Mark Phillips & IIIRD Generation, and the Jeff Robertson Band. Admission to this event is free. Parking is also free of charge. The party will include complimentary mimosas, live entertainment, and a candy station. There is also a drawing for a free venue rental at the Pavilion at Plaza East. April 13, 2018 from 7:00 p.m. to 11:00 p.m.
More than 20 wines will be on showcase and for sampling. There is a one dollar a minute massage area. You can also join in the karaoke fun. One unique idea is that you can make a personal bottle of wine with a fun label and taste. This event recurs every second and last Friday each month. The market is going to be open in the same location as last year on the second and fourth Saturday of the month. Admission is free. Joining the group page on Facebook is an excellent way to keep track of the market offerings and sales. Admission to this event is free. There is a food truck that will be attending the event. There are more than 20 vendors that will showcase trinkets, handcrafts, and antiques. There will also be a five-kilometer walk for the Bluff Dale School. Granbury residents are invited to attend the spring get together in Bluff Dale. There will be food, drinks, and sales at several local shops. Visitors will get a free ticket for the raffle for a two-night stay at the Buffalo Hills Guest House when stopping by a local business on April 21, 2018. The cost of admission is $27 per person. Seniors can pay the discount price of $25 to enter. Guests will hear dramatically hear about General Sam Houston. from local chefs. They will pair specific wines with each appetizer. Live Jazz music will be playing at the event. Tickets are $125.00 including a ticket for the Granbury Wine Walk on either April 27 or April 28, 2018. April 27 from 2:00 p.m. to 8:00 p.m.
April 28, 2018 from 11:00 a.m. to 7:00 p.m. Ticket prices are $27 if you purchase before April 15, 2018, then the price goes up to $35 per ticket. You will get a wristband and a map with your ticket as long as you are over 21 years old. You can taste up to 15 wines during this event. There will be live music, food, and art to browse during the event. Families buying a home in Granbury TX will want to check out some of our favorite places to relax. Whether you want to get in a jog, have a picnic with someone special, or you just want some fresh air, we think you will find a spot you love. Spring is full of fun events and places to visit. Feel free to contact us if you need more information about homes for sale in Granbury TX.